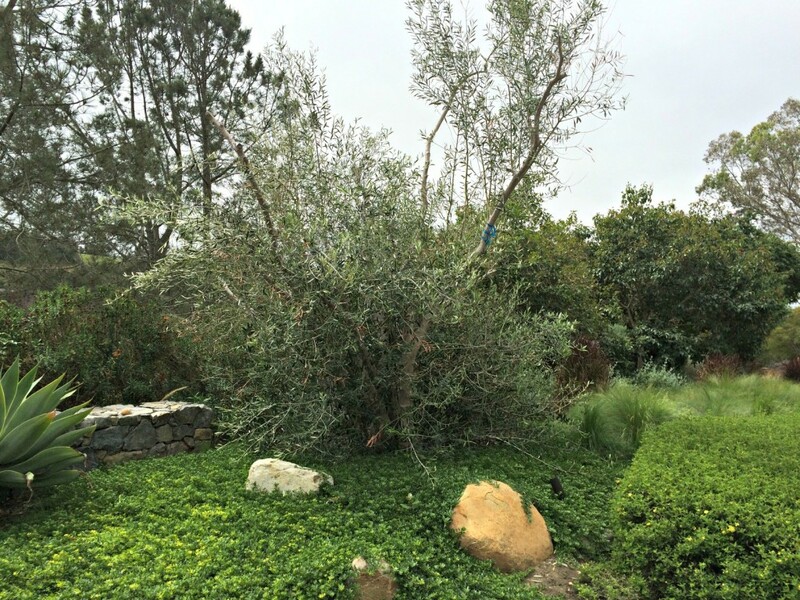 We were recently called to a home in Rancho Santa Fe to investigate a sick olive tree that was in decline. After a close inspection by one of our licensed arborists, it was determined that the tree was infested with scales. 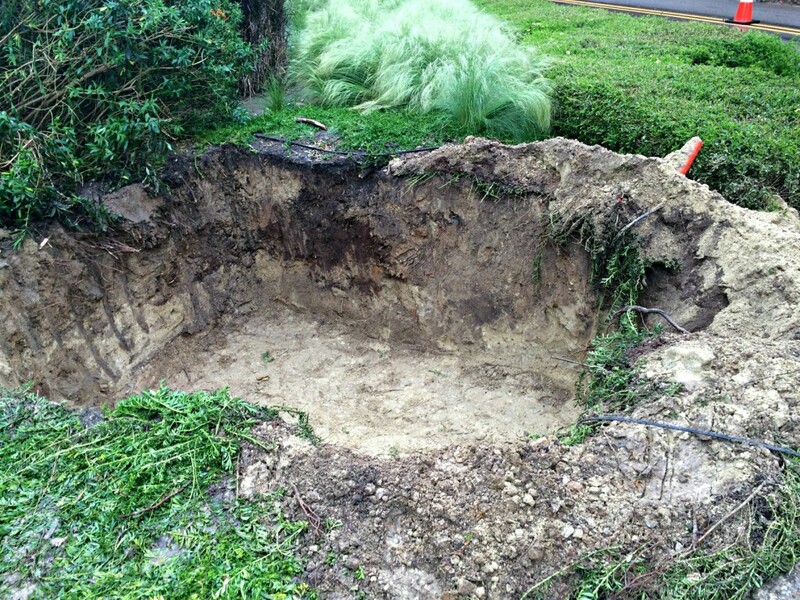 The inspection also revealed that the tree may be suffering from verticillium wilt. 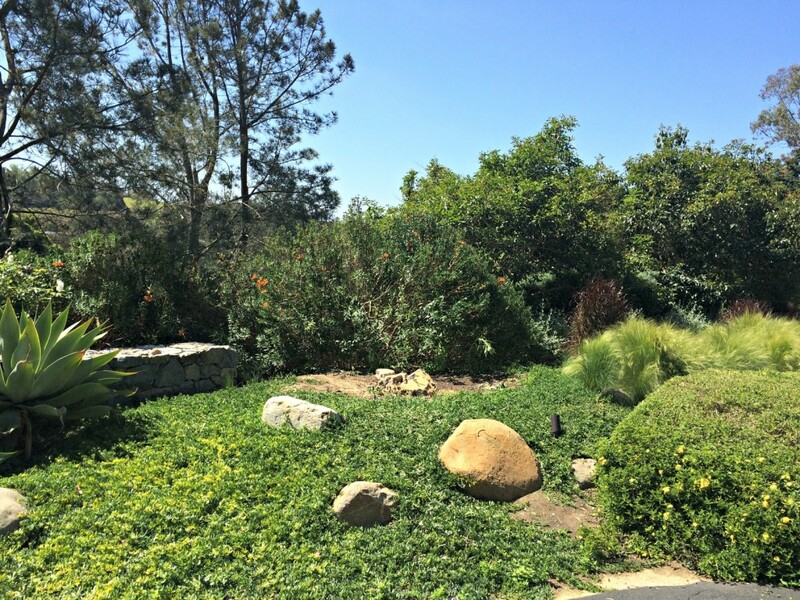 In order to prevent the disease from spreading to other olive trees on the property, the homeowner chose tree removal as the best option. 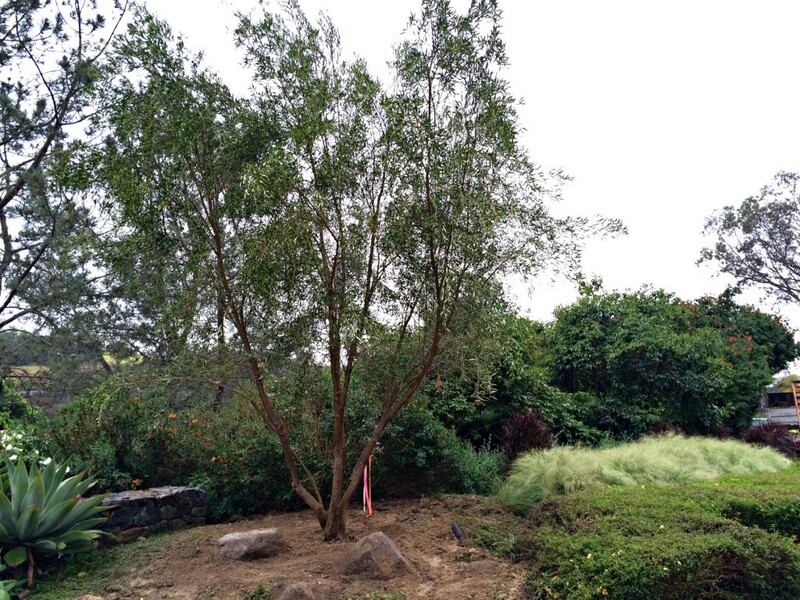 He also chose to replace the sick tree with a new, 60″ box olive tree. As a preventive treatment, we also sprayed the remaining olive trees on the property to prevent the spread of the tree scales. 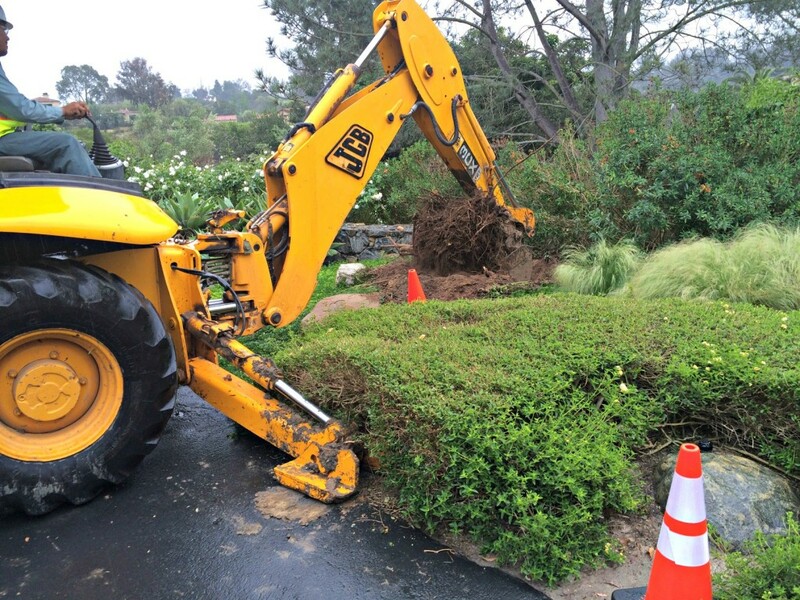 We began by removing the existing olive tree and digging the stump out of the ground with a backhoe tractor. Prior to the new tree planting, we used the backhoe to dig a 5’x5′ hole, approximately 4′ deep, in which to plant the new tree. 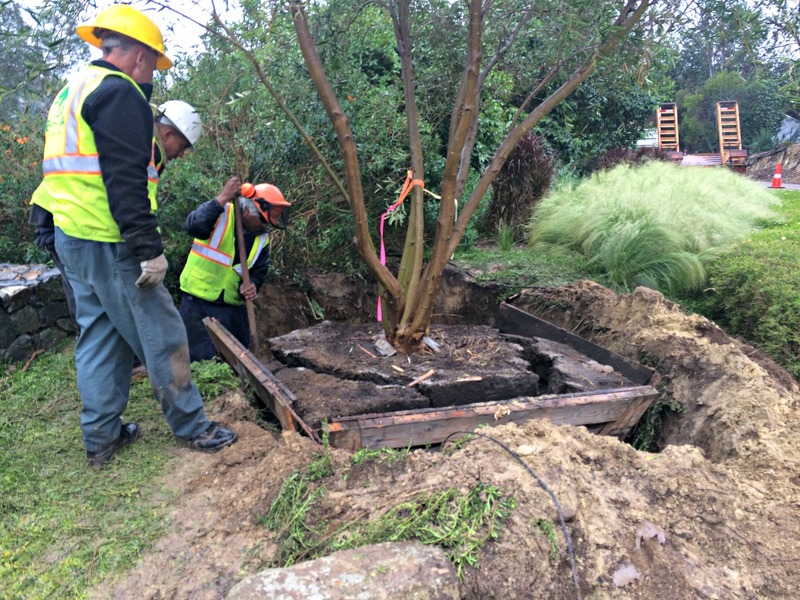 We scooped out the majority of the dirt in the area that could have been contaminated, added fresh soil and soil amendments to ensure the new tree would take root and flourish into a beautiful, mature tree. The nearly 10,000 pound olive tree was delivered and lowered into the hole by crane. When planting a tree in a box, the box must be broken and removed once the tree is in the ground. This allows the tree to properly take root and begin growing in its’ new home. 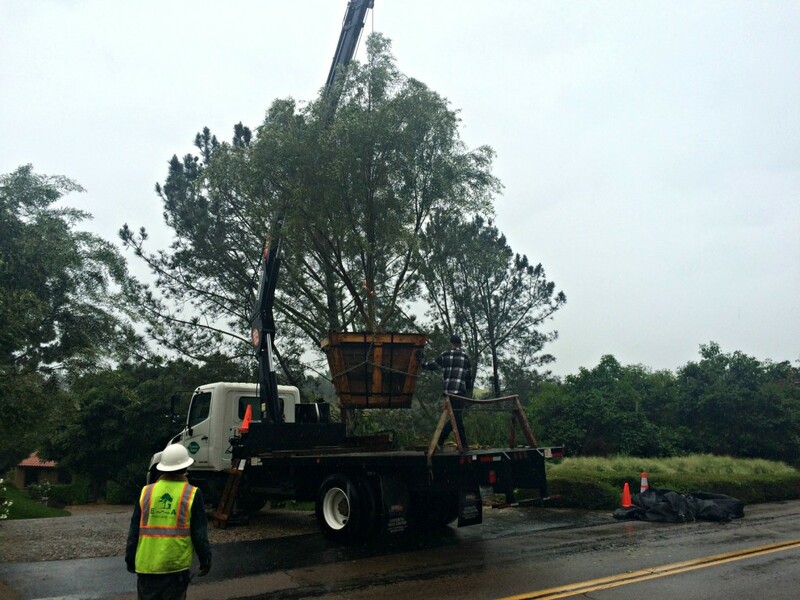 The finished product is a beautiful and healthy replacement to a sick and declining tree. 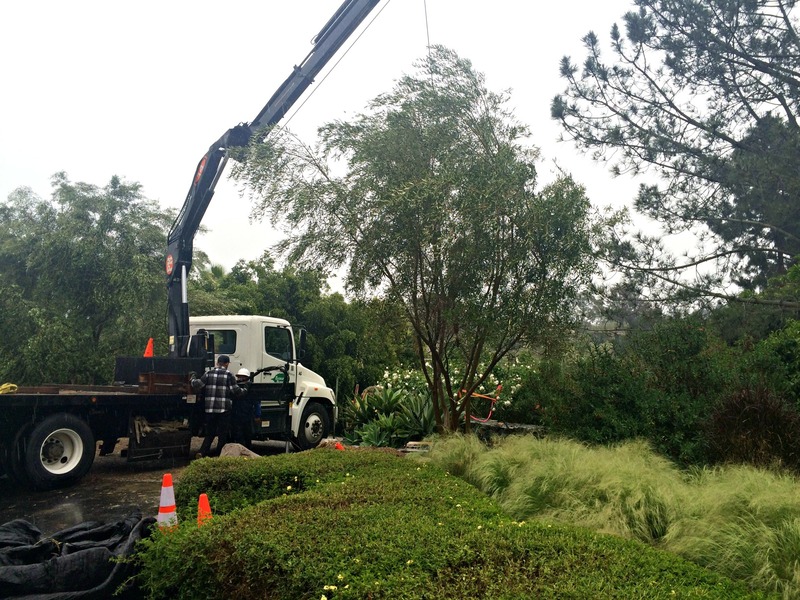 Tree removal and planting should always be performed under the supervision of a licensed arborist. Our arborists have decades of experience in diagnosing tree problems, tree removal, tree planting, tree trimming, and disease and pest management. Please contact us if we can help with any of your tree service needs.